The nineteenth century was the time of many prominent Masons, but Bro. Benjamin French was such an exceptional one that he requires special notice. Benjamin B. French was born September 4, 1800 in Chester New Hampshire. His father was a lawyer of high standing and for several years Attorney General of the State of New Hampshire. In 1819 he went to Boston hoping to go to sea. Failing to obtain a berth on a ship, he enlisted as a soldier in the United States Army and was stationed at Fort Warren on Governor's Island in the harbor of Boston. He was appointed a Sergeant soon after enlisting and faithfully performed his duty for about four months when, at the request of his friends who provided a substitute, he left the army on September 12, 1819. He then returned to his father's, he began the study of law, which he pursued with diligence for five years, that being the time fixed by the bar rules of New Hampshire. At the February 1825 term of the Court of Common Pleas for the County of Rockingham, held at Portsmouth, he was admitted an attorney at law. He was thus a lawyer by profession and following his marriage in 1825 to Elizabeth Smith Richardson (1805-1861), daughter of Chief Justice of New Hampshire William Merchant Richardson and a cousin of Judge William A. Richardson, formerly Secretary of the Treasury, he became active in politics, serving as Assistant Clerk of the State Senate of New Hampshire (1828-1830). Initiated in 1826 in New Hampshire and courageously serving Corinthian Lodge as Master in 1831, 1832, and 1833 during the Anti-Masonic period, he was also Grand Marshal of the Grand Lodge of New Hampshire. He was later elected to the New Hampshire State Legislature (1831-1833). While in the Legislature, he was the proprietor and editor of the New Hampshire Spectator. French's chief contribution to an understanding of the 19th century is his eleven-volume journal of almost four thousand pages, which was begun in August of 1828 and was faithfully kept up until shortly before his death in the nation's capital in 1870. Roughly one third of the journal was published in one volume in 1989 under the title Witness to the Young Republic, A Yankee's Journal, 1828-1870, edited by Donald B. Cole and John J. McDonough. He knew 12 presidents and their administrations intimately over 40+ years, from Bro. Andrew Jackson (1833) to Bro. Andrew Johnson (1867) and organized Lincoln’s inaugural and the Gettysburg memorial dedication (at which Lincoln have his famous address). His house was on the site of the present Jefferson Building of the Library of Congress. After moving to Washington in 1846 he joined National Lodge No. 12, was elected Grand Master of the Grand Lodge of Washington D.C. from 1847 to 1853, and in 1868 became Grand Master again after much persuasion. He was active in both the York and Scottish Rites. After moving to Washington, on May 7, 1846, Brother French was affiliated with National Lodge No.12 of the District of Columbia and on November 3, 1846, he was elected Grand Master of the District of Columbia and served for seven consecutive years. While Grand Master, he laid the cornerstones of the east extension of the United States Capitol Building, the Smithsonian Institute (1847), and the Washington Monument (1848). Companion French was exalted in Columbia Chapter No. 1 Royal Arch Masons on November 5, 1846, and later served as Excellent High Priest of that chapter. He also served as the Most Excellent Grand High Priest of the Grand Chapter of the District of Columbia. Sir Knight French was knighted in DeWitt Clinton Encampment, Brooklyn, New York on April 5, 1847, and became Eminent Commander of Washington Commandery No. 1 (D.C.) on its revival in 1847, serving for eleven years. In 1850, accompanied by President Zachary Taylor, he laid the cornerstone of the Washington Monument in Richmond, Virginia. 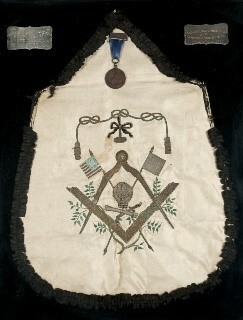 Again as Grand Master, wearing the original apron used by Washington, French laid the cornerstone of the Capitol extension on July 4, 1851, following which a pilgrimage was made to Washington’s tomb with an address given by French. In 1851 French had received the degrees of the Scottish Rite and on December 12, 1859, SGC Albert Pike conferred upon him the 33°. He was the first Mason from the District of Columbia to be so honored. In 1853, French was named the Commissioner of Public Buildings under President Franklin Pierce. As the Commissioner of Public Buildings, French was responsible for the care of all federal buildings in Washington, D.C., including the United States Capitol. French would lose his job because of his anti-slavery views. Brother French had the distinction of having a Lodge named in his honor while he was a sitting Grand Master. Most Worshipful Brother French reluctantly signed the charter establishing his namesake lodge in late 1852. Benjamin Brown French Lodge No. 15 held its first communication in 1853. 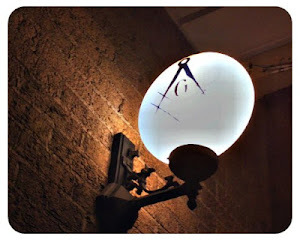 The Lodge has met continuously since in the Georgetown section of the District of Columbia. He chaired the Board of Alderman of the District, headed the Telegraph Company, and chaired the District Relief committee to support families of soldiers during the Civil War. He was elected Grand Master of the Grand Encampment of Knights Templar, U.S.A. in 1859 and served until 1865. Brother French became a Scottish Rite Mason, and on September 15, 1859, he became the first 33rd Degree Mason from the District of Columbia. At the time of his death, he was Lieutenant Grand Commander of the Supreme Council, AASR (SJ). French had rejoiced in Abraham Lincoln's election in November 1860 and at the same time recoiled at the South's threat of secession. He had learned that his beloved wife Elizabeth had been diagnosed with breast cancer and had consented to a mastectomy (which was not successful). Elizabeth's death in May of 1861 was a profound loss for French. His family gathered round him to ease his grief. Mary Ellen Brady (1831- 1905), a sister of his brother Edmund's wife, moved in to manage his household. With time, a romantic attachment developed between Mary Ellen who was thirty years younger than French, and within a year and a half they were wed on September 9, 1862. French was the Chief Marshal of the March 1861 inaugural parade of Abraham Lincoln, who reappointed French Commissioner of Public Buildings in which he oversaw the completion of the new dome on the Capitol. After his appointment, French wrote in his diary on September 8, 1861: "I was at the President's and saw Mrs. Lincoln and the President. Mrs. L. expressed her satisfaction at my appointment, and I hope and trust she and I shall get along quietly. I certainly shall do all in my power to oblige her and make her comfortable. She is evidently a smart, intelligent woman and likes to have her own way pretty much. I was delighted with her independence and her lady-like reception of me. Afterward I saw the President, and he received me very cordially." During his tenure, French also over saw the funeral arrangements for both Willie Lincoln (1850-1862) and President Lincoln (1809-1865). He would visit Lincoln on his deathbed at the time of his assassination. French claimed to have prevented an earlier assault on Lincoln at the President's Inauguration on March 4. His journal relates the circumstances. The Civil War naturally called a halt in the steady forward march of Templary. This was noticeable in only one Triennial Conclave, however, and that was the one which fell in 1862, in the time of the war. It had been previously decided to hold this Conclave in Memphis, Tennessee. This was not feasible in September of 1862, and a special meeting, before the regular Conclave, changed the place of assembly of the Triennial Conclave for that year to New York City. It was then twenty years since the last Conclave had been held in New York City. The meeting was a small one. The best authorities state that only eight Grand Commanderies and subordinate Commanderies from two states and from the District of Columbia were present, and these were all northern. It is not clear that all the southern bodies had completely and finally seceded from the Grand Encampment as had their states from the United States government. Indeed, there is evidence that some friendly and fraternal relations were maintained. This Conclave again took up the matter of Templar uniform, giving still further and more detailed regulations in the famous "Edict of 1862." In the matter of the ritual, it was decided to have a devotional service prepared for the opening of the next Conclave, the place and time for which were fixed at Columbus, Ohio, on September 5, 1865, and the week following. Even before the actual close of the war, the coming peace and harmony was indicated by the admission into the ranks of the constituent Grand Commanderies of two states, one of the south, Louisiana, on February 12, 1864, and one of the north, Iowa, on June 6, 1864. Subordinate Commanderies joined from three new states, Kansas, Minnesota, and Nebraska. There was in the entire 1865 Conclave no real note of war, and the Grand Master at the 1862 and 1865 Conclaves, "the War Grand Master," Benjamin Brown French, proved himself one of the most caring and peaceable of men. In having him at the helm throughout those troubled times, Masonic Templary was very fortunate. Calm, unruffled, broad-minded, and open eyed, he proved to be the right man to guide American Templary safely through the Civil War years. On March 4, 1867, Radical Republicans in Congress succeeded in abolishing the office of Commissioner as a way to punish French for his loyalty to Democratic President Andrew Johnson (who was also a Knight Templar). On March 14, 1867, French surrendered books, ledgers, and accounts to the Secretary of the Interior. On March 30, 1867, Congress placed the care of the United States Capitol and grounds under Edward Clark and the newly created office of the Architect of the Capitol. Nearly twenty years later, in 1867, he accompanied President Andrew Johnson to Boston for a national meeting of the Masonic Knights Templar, of which French had also been Grand Master. On April 15, 1868 he presided over the dedication of Washington’s first statue of Abraham Lincoln. Brown’s nephew, Daniel Chester Brown, would sculpt the statue of Lincoln unveiled in 1922. In 1870, he was made Lieutenant Grand Commander of the Supreme Council, Southern Jurisdiction. 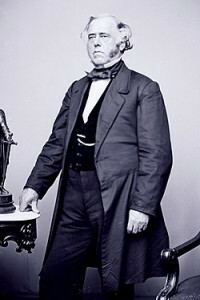 French spent his final years in a minor clerk position in the United States Treasury Department, and though he found the work humiliating, he held the post until forced by politics to resign two months before his death. He died at home on August 12, 1870, from heart failure and lung congestion. French was placed in a coffin in the front parlor beneath his portrait and in front of two little lamps. His Masonic hat, badge, and sword were on the lid of the coffin, and the room was strewn with flowers. His body was then taken to the Congressional Cemetery where he was laid to rest amid throngs of mourners and with the solemn funeral service of Freemasonry. The full account of Benjamin B. French's life is not defined by his government service alone. A sociable and open man, he was likewise occupied in numerous community and business activities, including serving as Treasurer of the United States Agricultural Society and as president of the Republican Association of the City of Washington, as well as Grand Master of the Knights Templar of the United States. He invested smartly, and his business judgment provided him a better lifestyle than would otherwise have been possible on a government salary alone. He was also interested in cultural and literary matters, constantly composing poetry, speaking at public occasions, and discussing current authors and their works in his correspondence. His journal is filled with descriptions of parties and other social occasions, and it was not uncommon to find him at home playing euchre well into the night with a group of friends that included congressmen and other prominent public officials. Sadly, Benjamin Brown French would likely be little remembered today were it not for his journal and letters already mentioned. The remaining unpublished material, comprising two-thirds of the journal, is housed in the Library of Congress which is now situated on the very site where French's mansion, built in 1842, was located. 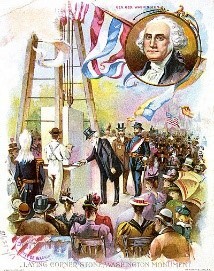 The unique aspect of French's journal is the keen insight provided into political life in Washington, D.C. The workings and the key players of every administration from that of John Quincy Adams to Ulysses S. Grant are faithfully recorded. They provide a wide window into the early years of the republic and more particularly on the Lincoln White House and are his legacy to the nation.